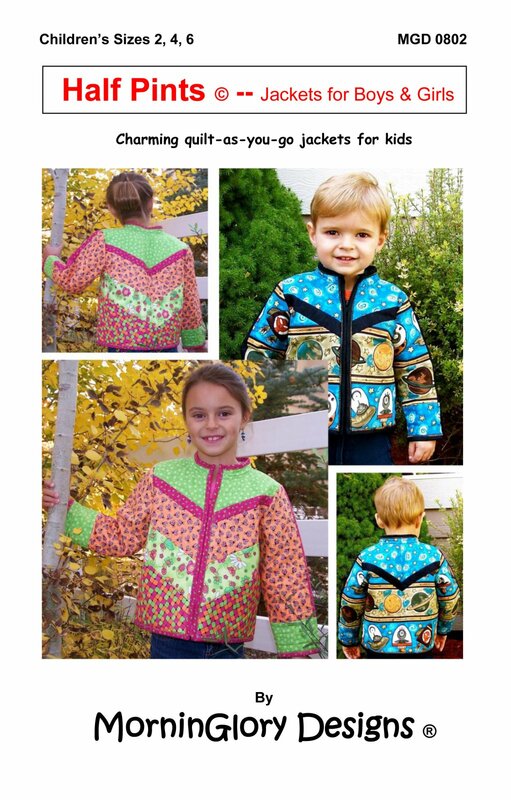 This charming little quilt-as-you-go jacket will be a hit with the little ones. The boy’s jacket has accent trim that races down the sleeves and gives the illusion of front and back yokes. The girl’s jacket with pieced fronts, back, and sleeves gives an opportunity for an adorable combination of colors. The zipper is a breeze to sew in with the stitch-in-the-ditch technique. Sizes 2,4,6, included MGD 0802 Requires intermediate sewing skills.